1. 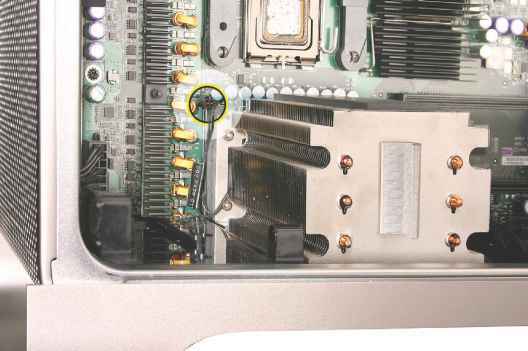 Disconnect the 2-pin cable for the upper processor (CPU A) heatsink from the logic board. 2. 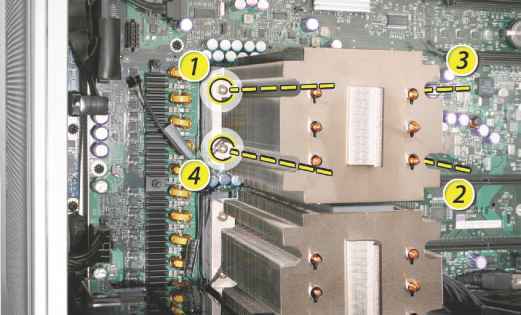 Using a long-handled, magnetized 3 mm flathead hex screwdriver, loosen the four captive mounting screws for the upper processor heatsink in the order indicated below. 5. 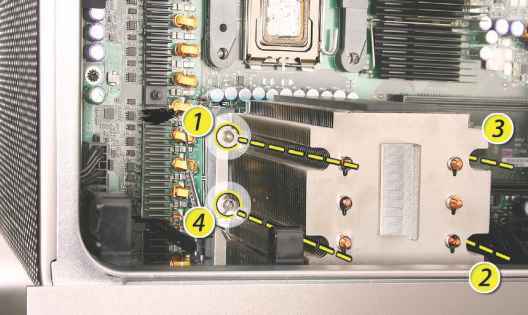 Using a long-handled, magnetized 3 mm flathead hex screwdriver, loosen the four captive mounting screws for the lower processor heatsink in the order indicated below. 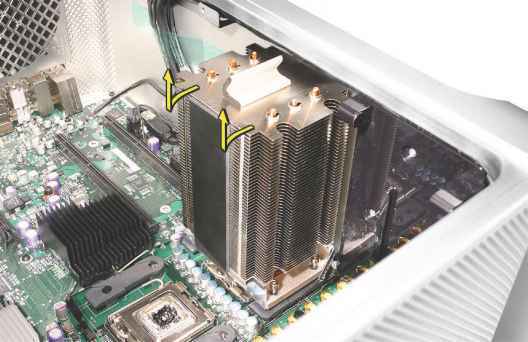 Remember that you cannot leave the heatsink separated from either the upper or lower processor for more than 15 minutes. 6. Carefully tilt the heatsink so that it clears the bottom lip of the enclosure and then lift the heatsink out of the computer. 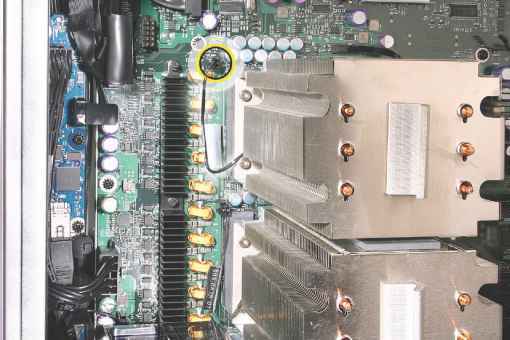 Before installing a new or existing heatsink, check that the gasket that surrounds the silver-colored coating on the underside of the heatsink is in good condition, as illustrated below. Replace the gasket if it shows obvious damage, such as cracks, folds, and broken-off surfaces, or if it is dislocated from the heatsink. 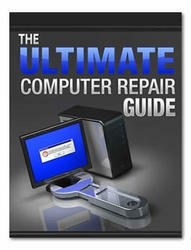 The gasket is available through GSX as part of the Mac Pro Grease Kit, part number 076-1258. 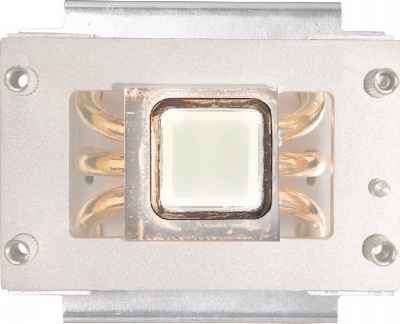 The Mac Pro (8x) uses Krytox grease to ensure a proper seal between the heatsink and processor. A bead of the grease rims the gasket on the underside of the heatsink and comes pre-applied on replacement heatsinks. How long can you leave a mac 8x heat sink off?